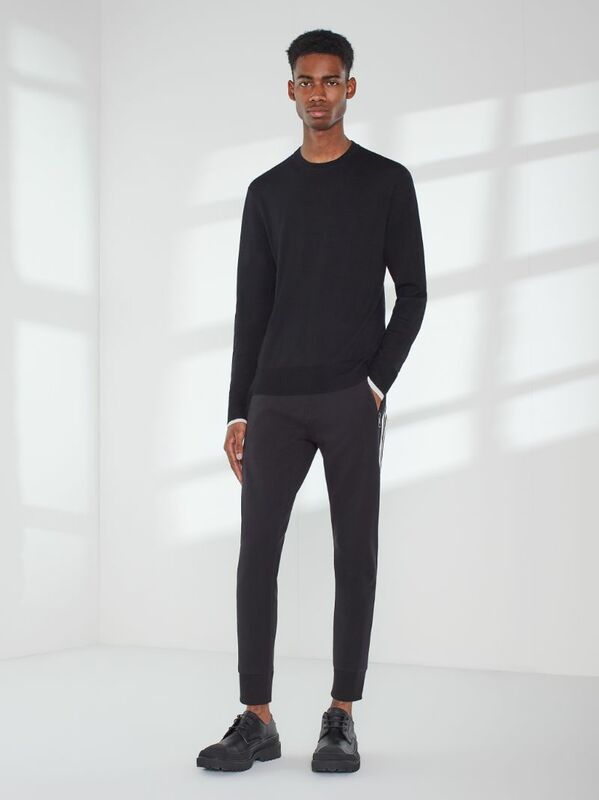 This is the smallest of our fits, for a skinny guy who wants to wear his clothes like a second skin. 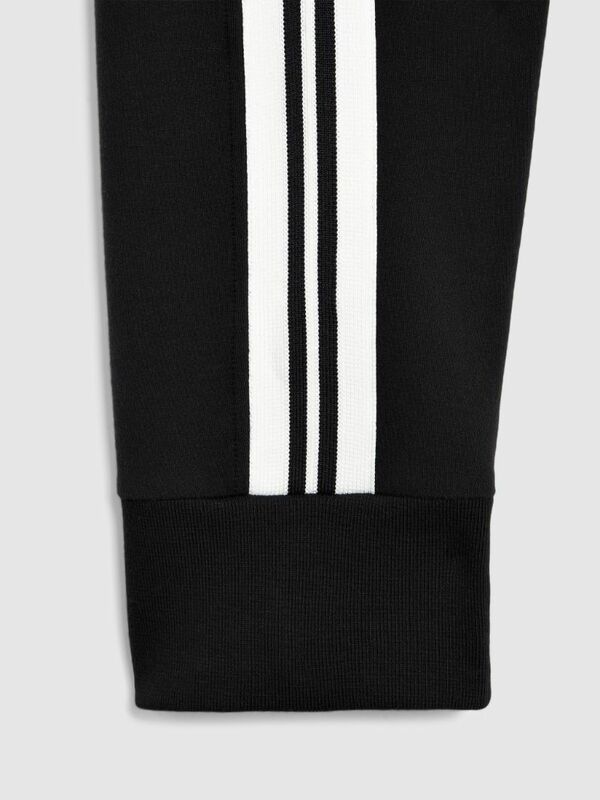 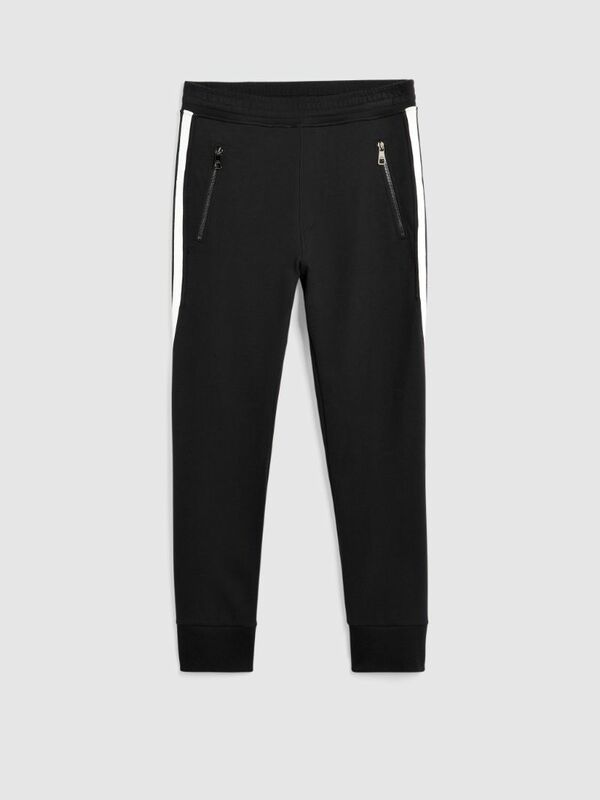 A definite wardrobe essential, this pair of varsity sweatpants are cool, comfortable and contemporary. 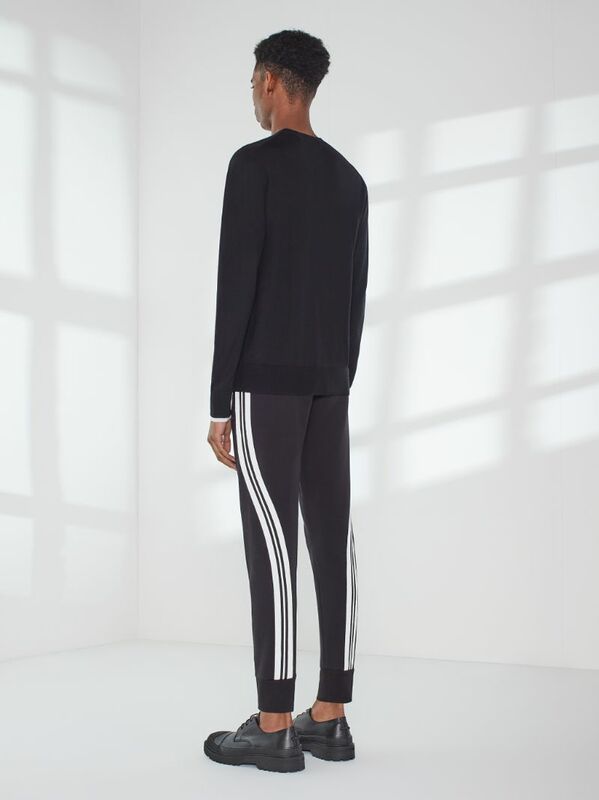 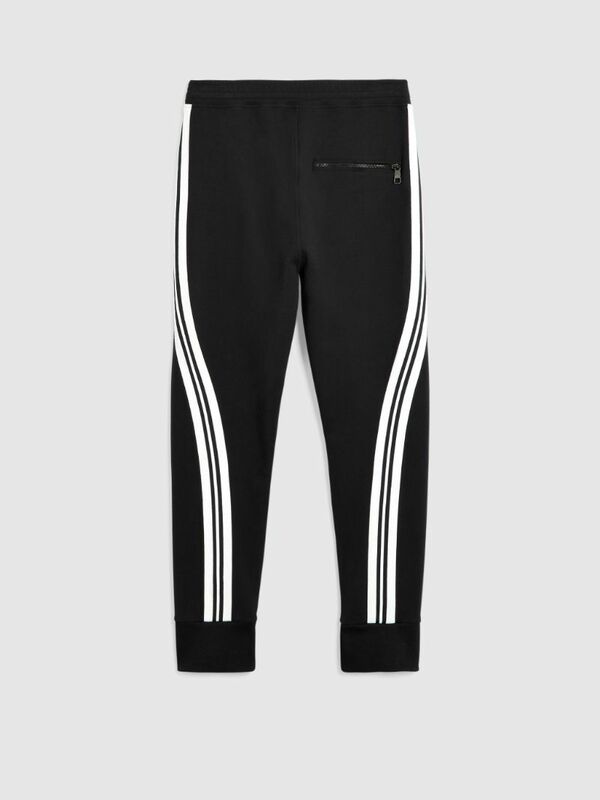 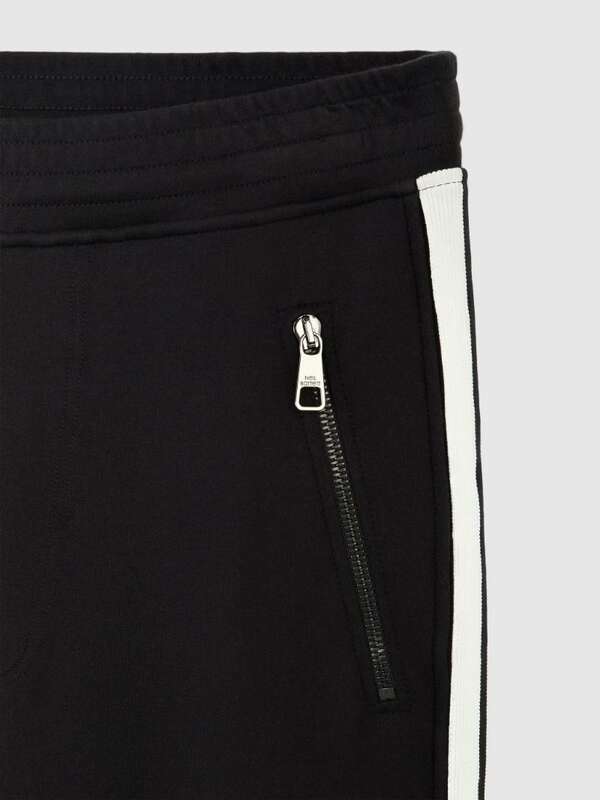 Front zipped pockets and a contrasting white stripe to the side and back add a dose of modern detail.